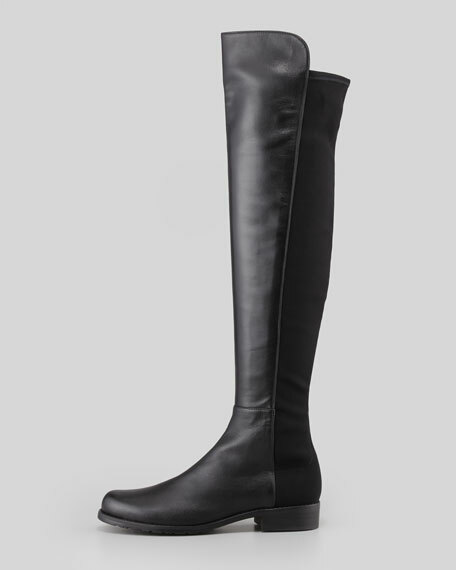 Celebrate as the iconic 50/50 boot turns 20! Select from a full spectrum of sizes (including widths), colors, and materials, then choose from two heel heights. Because personalized orders may not be canceled, and personalized items are not returnable, we ask that you take special care when making your selections. Shipping from the Spanish factory takes approximately 10 weeks; please consider this time requirement when placing your order. 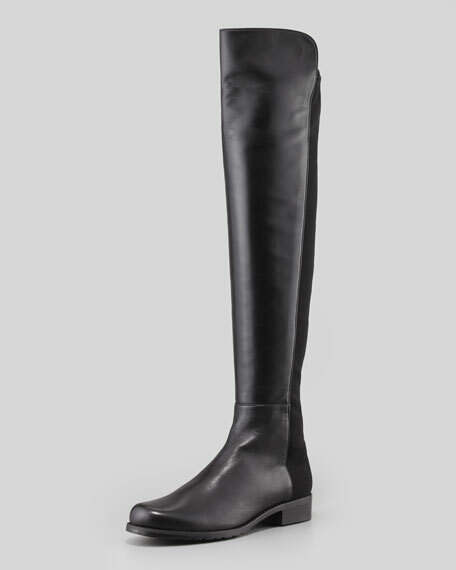 A stretch-fabric back gives this Stuart Weitzman boot a custom and comfortable fit. A low stacked heel offers a dose of carefree ease that's wearable all day and into the night. 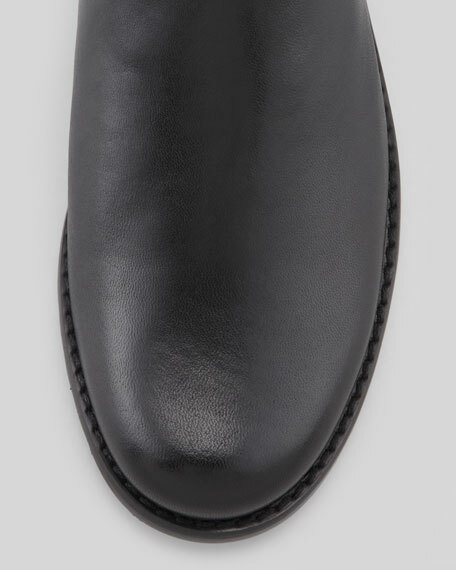 A stretch-fabric back gives this leather boot a snugand ultra-comfyfit. "5050" is made in Spain. For in-store inquiries, use sku #2090109.